A great choice for any show ring! Conservative colour blocking allows for some personality without h.. Throw this on under any show coat to look sophisticated and add versatility. If you're wanting to sp..
Functional tech top with mesh fabric inserts for extra comfort during warmer days Main features:  M.. 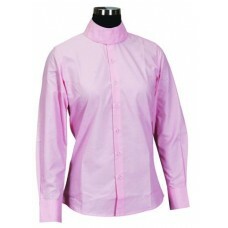 The Romfh® Competitor Show Shirt - Long Sleeve is perfect for the hottest of show days, with our cus.. 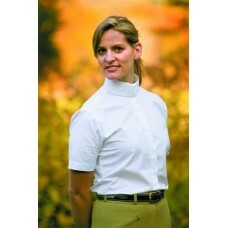 The Romfh® Competitor Show Shirt - Short Sleeve is perfect for the hottest of show days, with our cu.. 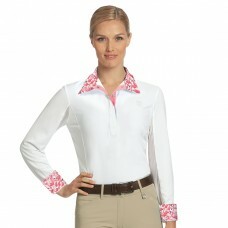 The ideal show shirt - traditional when closed, but with fun prints on the inside to reveal your per..
With lace mesh undersleeves and lace mesh inside collar.Perfect for showing, the Pirouette comes wit..
Made with our exclusive light and breezy Chill-factor fabric, the Chill-factor Sunshirt provides coo.. 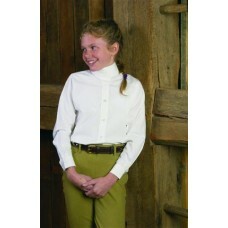 The Lindsay Long Sleeve Show Shirt features Chill-factor fabric with Powerfresh treatment. Keeps y.. 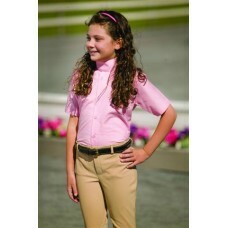 The Lindsay Short Sleeve Show Shirt features Chill-factor fabric with Powerfresh treatment. Short .. The Romfh MicroFiber Bling Pre-Tied Stock Tie features sparkling crystals along front band, a comfor..
A refined classical technical show shirt with clean woven collar, placket and cuffs. The straight up.. 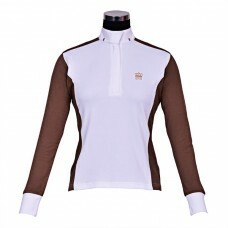 This lightweight show shirt is made with a moisture management fabric that will keep you cool, com..
An ideal show shirt for all levels of competition. 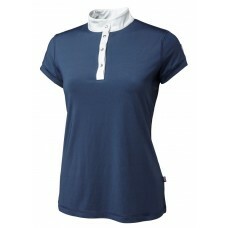 The polyester / cotton blend fabric keeps you com..
An ideal show shirt for all levels of competition. The polyester / cotton blend fabric keeps yo..
Made with a moisture management fabric that will keep you cool, comfortable, and looking your best o..